The game requires some good horse power to play on the PC version, and of course our Alien ware system reserved for reviewing games and software showed off what Left 4 Dead can do. The PC version of the game requires a 128 MB or more video card with support for pixel shader 2.0. The RAM requirements break down like this, 1 GB for XP and at least 2 GB for Vista. Yes you read that correctly. Seeing the game for the first time is great, though even more fun showing it to someone else for the first time. Shael and Donna both has interesting reactions. Kind of like watching some one else watch a horror film you have already seen just for the fun of watching them jump out of their skin at a certain scene. No amount of pithy play on words can do Left 4 Dead justice. While simply saying it is perhaps the best zombie game to date may not be enough. Left 4 dead treads a delicate balance of multi player co op, with the key phrase really being co operative, and single player hybrid survival horror gaming. So, OK, I will explain my choice of words. 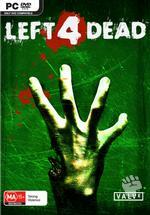 But to make it simple, Left 4 Dead is hands down, the best zombie game to date. Oh crap I said it anyway. Four survivors joined together in the midst of a world plunged into a horrific zombie storm of death and blood. During single player, you have a choice of playing any of the four characters. Though there is no real discernible bonus, pro or con to playing one or the other. Just a cosmetic choice really. Playing the game single player with the other three characters being run by the AI is almost as fun, the only difference here is you know the AI wont leave you to die when the chips are down. The down side is, that the AI run characters do get in the way sometimes in the heat of battle. Which can be very annoying. Some of the things that port over from single or double player are different voice prompts to let you know when a fellow survivor is reloading or healing. This way the others can be more heads up against any dangers. The level of depth in this game seems so simple yet reaches into a human beings basest and most primal feelings. Fear being one of those. You look at the surface of the game and see it as a simple game, but looking below the surface we soon see all of it's masterfully created parts that come together to orchestrate the very impressive Left 4 Dead. The designers, programmers, music directors, voice actors, and dozens upon dozens of others that most of us don't even think off did everything just right. Bringing together the sites and sounds to really involve us in the game. The music score throughout is so much part of the game, you really never even consider wanting to turn the music down or off. Well done designers! While the game really has no back story of how these survivors came together, there are small tidbits of other survivors that have passed the same routes. There is writing on the walls, notes to other survivors with instructions or notes to loved ones on where they are going next. At the start of the game the opening movie sets the mood very well. Each campaign has short introduction movies to that level, they are wisely quick and painless. Too many times other games give a long elaborate intro, while they can be pretty cool, you just want to get in the game and start with the shooting already. Left 4 Dead keeps these intro movies simple and direct, streamlining the intro to levels and getting the player in the game fast. I felt as if I was watching and in turn being part of a zombie horror movie. The opening movie was breath taking and action packed, introducing some of the more dangerous denizens in this world gone mad. Heres where that simple look at the surface comes in folks... the game goes like this, run for your life, shoot zombies, run, shoot, heal, shoot boss monsters, shoot zombies, get to a safe room go to the next map repeat. I know what your saying, how the heck can that be fun? Well friends, I can say this...try before you buy. Don't take a reviewers word for it. It's only your fellow gamers opinion. Check out the PC demo, or the Xbox 360 demo. I can tell you something, you will be soon buying it after that. Granted it can seem like it can get repetitive, but folks this is a keeper. The game surprisingly has a lot of replay value. The overall visuals look spectacular, the environments and lighting is realistic and creepy. Most of the areas look as if they have power, but not everything is lit up. There are light sources coming from small fires here and there and even abandoned cars. 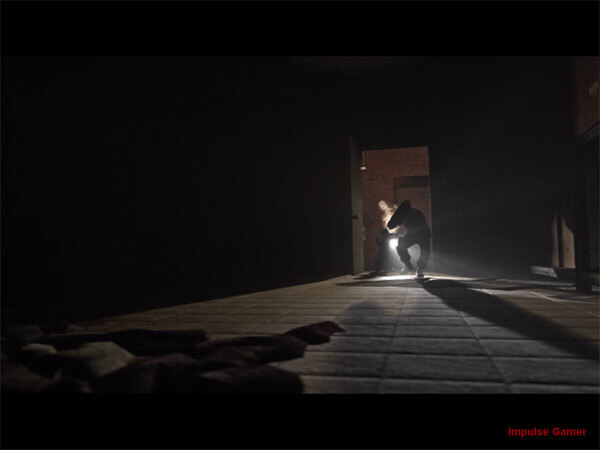 The eerie effect draws you into dread as you traverse through the levels. Whats coming next around the corner? What may burst through a door? You get a slightly different experience every time you play, thanks to a little part of the game that works behind the scenes. The designers have a part of the game engine called the AI "Director". This part of the game engine creates a different play experience every time you play the game. 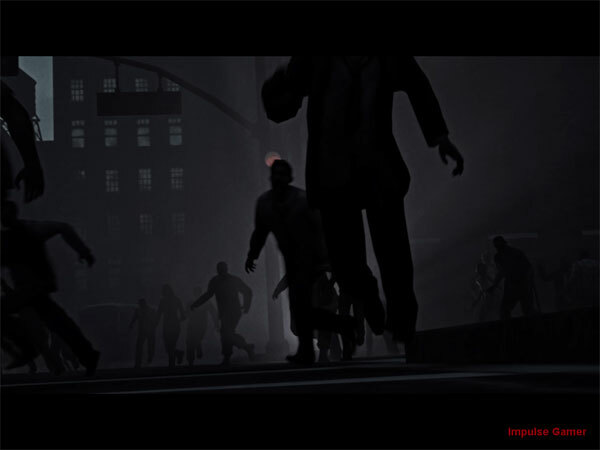 Different numbers of the zombie hordes from different directions and different times and places are hurled into the mix. Weapons are not always in the exact same places either, so don't get too comfortable. The AI director pushes the replay value of the game to a whole new level. As I said before the game is very much playable in a single player mode. Is it just as fun? I find it loads of fun for a late night gaming session when I want to get a little adrenalin jolt. Multi-player is what the game seems to be mainly designed for and it very much rocks in this arena. Hooking up with friends on-line is a blast while fighting the waves of zombies. Survival is the name of the game and even more so Cooperation! There are situations where a player must depend on their fellow survivors. There are certain specialized creatures that will target one survivor, and if the other players don't assist, you are doomed. A survivor also has to depend on some one else to revive them if their life level is so low that they can do nothing but lay there on the ground till they die. If in a high place, a character may get knocked over a ledge, one of the other players will have to pull them up from the ledge or SPLATT they go. The game promotes team work as apposed to the single lone wolf mentality of gaming. Sprinkled throughout the game are what you may consider boss type zombies, these are creatures really with abilities and looks far different from the zombies. One such creature is the “Hunter” as the name implies, the thing is darn fast and can leap great distances. The second beast is called a “Smoker” it gives off a slight aura of smoke and can lash out with a super long tongue to snare a player and constrict them. When destroyed they explode into a noxious cloud of smoke that chokes and blinds players. The “Witch” is a female being of alabaster colored skin, think of Wolverine with PMS, you get the idea. Then the being known as the “Tank”. The Tank is a huge muscle bound beast that is like a berserk unstoppable force. Throwing large bits of debris from a distance. It takes a lot of gun rounds to put it down. And its darn strong. Then there is the “Boomer”, this vile balloon like creature spews bile at players when its in range. This bile acts as an attractor to the hordes, dozens on dozens of zombies come running as if the dinner bell has been rung. The same effect happens when they are shot and they explode and a player is too close. So shooting those from a distance is very much advised. Since the bile also blinds players for a short time. It takes team work to defeat these monsters. Multi-player verses mode is also a blast to play. Up to four players can play as the survivors and then up to four players can play as infected boss zombies. Playing as an infected takes a bit more strategy because it is easier for you to die. So setting up and stalking the survivor players is always a good idea. The times when a infected player gets to play the tank though is limited to how that player uses it. If the player is not playing in character, there is a sort of meter for the Tank, take too long to engage survivors and that player soon looses control of the tank and it becomes a rampaging Leviathan totally out of the players control. The game is exactly what so many fans of the zombie horror films have longed for, for so so long. Valve has delivered, the wait was well worth it. Now the only question is, will Valve create new content or new games for Left 4 Dead much like they did for the Half Life Series? We can watch and wait and hope. For right now with the end of the year rolling up on us, I would consider this the "must have game of the season”!